It was a little over a year ago that I wrote to Ayya Santacitta, one of the two founding monastics of Aloka Vihara. We’d known each other for several years, and I had always enjoyed her presence and practice. I wrote telling her of my deep longing to come out for a visit to the Vihara, an unassuming home in Northern California, set at the top of a broad meadow where deer feed in the twilight hours. We agreed that a visit could be arranged for a time before the winter retreat began in January, but the airfares were simply too costly, and I had to defer. Respecting the retreat time of the monastic community, we arranged for me to come in May 2017. It was so pleasant, the warm familiarity of good Dharma friends Ayyas Santacitta and Anandabodhi contrasted with the newness of meeting (then Samaneri, now) Ayya Ahimsa and later Anagarika Shannon, as well as learning how the details of daily life reflect the pāṭimokkha or monastic rules of early Buddhism. I felt drawn to this way of living Buddhism together with women, and there was something more. I experienced a spaciousness and sincerity about practice at the Vihara, a sense that there is room for a whole human life, room for a practice that is as big as all things. The three of us were sitting on the floor in Ayya Santacitta’s room, talking quietly about how we were and how my stay was going, when I asked about a longer visit. I knew that my term at Empty Hand Zen Center, in New York, was coming to a close. I thought that three months would give me a taste of this Theravada life governed by the Vinaya, and enough time to plan next steps, whether here or in a Zen practice setting. The Sisters agreed, and I was really pleased. Still, I had my doubts. The monastic rules of Theravada Buddhism are very strict. They call for complete sexual abstinence, refraining from all entertainment and alcohol, no meal between Noon and dawn of the next day, and many other forms of renunciation and virtue. Would I be willing to set down everything in order to focus exclusively on practice? Some of this territory is familiar. I have been celibate for many years now, and practicing brahmacarya for the past two years. I have lived at remote places, like Tassajara Zen Mountain Monastery and Hosshinji, where there were no televisions or computers with which to watch any form of entertainment. And I have gone for long periods of time eating only twice per day and not having a drink. Yet the commitment of this entire group of women to these and other renunciate forms of practice as the basis for a peaceful life is an invaluable support. Now I have been living at the Vihara since October, and the weekly rhythm has become familiar. Just as it is at the Zen monasteries in which I have lived, this life is full. There is early morning and evening community sitting and chanting called puja. 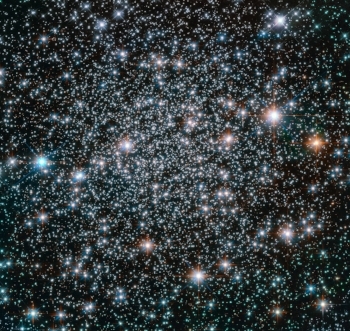 There are regular times in which to contemplate the early Buddhist teachings, and to hear a Dharma talk by someone in the community or a recorded talk by someone far away. There are regular gatherings to check in about how we are feeling, and to divvy up the work of cooking and cleaning and maintenance. Visitors come and help out, and then go back to the larger world. Everyone contributes with work. Everyone participates in sitting. The activities are familiar, but the way in which they are held is quite different. Here there is no wake up bell; each person is responsible for monitoring their own attendance and yet there is no one who forgoes the pujas for more than a day or two. During retreats, 10 day periods of focused practiced with only minimal work, the sitting is arranged in two or three hour blocks of time. People move about as they wish, sometimes sitting with the group, sometimes alone, sometimes walking. The walking meditation is relaxed. People move at a slow but natural pace, without any mudra or pattern, just moving back and forth. It feels as though there is room enough for each person to find their own pace. Also, I find it interesting and inspiring that, rather than a doctrine, much of what we chant here is appreciation for the Buddha, Dharma and the early Sangha. It is a sharp contrast with the Zen liturgy, which is primarily concerned with teachings about emptiness. The chants and teachings here strongly emphasize ethics as a part of the Buddhist path, and virtue as an attribute of those who have embodied it deeply. I have come to realize that this is an important part of what drew me here. This is a place where there is an understanding of monastic ethics as a support to, and container for the practice of discovering the wisdom of non-self. It feels so right. It has been true for me that each time I have chosen to live a more ethical life, it has led to greater clarity of mind and fewer difficulties in life. Now I can live among women for whom this is also true. And what of the differences in the teachings of Zen and Theravada Buddhism? First, I must admit to being surprised at how similar these paths are. For example, although the Mahayana rhetoric is that ours is the stream of Buddhism that concerns itself with practice for the benefit of all beings, my experience of the Theravada is that we chant for the benefit of all beings at meals and other times during the day. Some days we chant the "Loving Kindness Meditation" that I learned at San Francisco Zen Center, which is actually a teaching from early Buddhism, one which predates Zen by centuries. I often encounter threads like this, that begin with the historical Buddha and continue right through to present day Zen in America. The Buddha said that the sangha should be harmonious, “blending like milk and water,” which was later quoted by Eihei Dogen and later quoted by Shunryu Suzuki, and is now regularly quoted by Greg Fain, the Head of Practice at Tassajara. I also find that the way that language is used is very different, as you might expect, but what is being described is similar or the same. For example, Tiantong Rujing clarified that Dogen’s “body and mind dropped off,” while Theravadan Teachers say, “there is no one who attains jhana” not because it’s not possible, but because that meditative state does not include the sense of one’s personal body and mind. These are very simple examples but, for me, they are emblematic of the shared values of these two traditions. One key difference, however, is the emphasis that these Western Theravada practitioners place on leading a simple, disciplined life, one that steps out of most of the trappings of contemporary America. This is seen as necessary and beneficial, not just for the residents of the monastery, but for everyone with whom they come in contact. That is, the practice of the Vinaya is a demonstration that these monastics are "all in" and have devoted their entire life's energy to the practice of awakening. This gives the rest of the sangha confidence in the leaders of the sangha, and perhaps an appreciation for how much effort they are investing and the Dharma they are sharing. 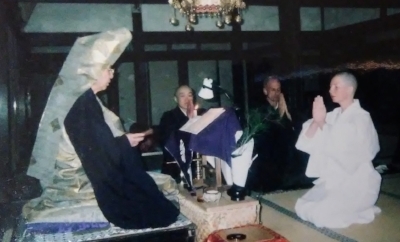 It is different from the Zen view that even the ordained sangha can participate in secular life, which was particularly strengthened in the mid-1800s by Japan’s “Niku Jiku Sai Tai” law. This law allowed Buddhist clergy to eat meat and marry, and they also began growing their hair and drinking alcohol. Surely there were political reasons behind the passage of the law, but it was also a recognition of the fact that some members of the Japanese Buddhist clergy were already doing those things. As for the value of the renunciate life, so far my experience has borne out its usefulness. The simplicity of this form of monasticism, as structured by early Buddhist texts, brings the practice and one's personal responsibility for it into sharp focus, while ensuring that the lay and ordained sangha clearly understand their inter-dependence. It leads to some lovely relationships. I wonder why Dogen chose not to bring to Japan the pāṭimokkha rules of the Vinaya that I understand were practiced at Mount Tiantong and other Chan practice places. His teachings that all beings are expressions of Buddhanature, and therefore fundamentally enlightened, did not obstruct his teachings about the necessity for realization of this fact. Thus, at times, Dogen was clearly able to acknowledge the ultimate and the conventional at once. It therefore seems that he could have upheld the conventional value of the Vinaya precepts, just as Chan monastics do up to the present day. However, he chose to create a tradition in which only the 16 Bodhisattva precepts are taken. This is something that I hope to understand better in the future by studying the history of the Zen precepts and the Eihei Shingi, the monastic code of conduct that is specific to Soto Zen. At this moment I can honestly say that there is no other place I would rather be practicing. Aloka Vihara is becoming my new home, in my heart, body and mind. Much more of this path is unfolding too, and there is much for me to learn and to share with my new community. It is my intention that the Noble Eightfold Path continue through me. And it’s my plan to stay on here at the Vihara for a much longer period. The whole community has welcomed me with open arms and I embrace them too. This decision also means that I will be taking the Vinaya precept vows, as a complement to the Zen vows I have been upholding for the past 13 years. I am truly grateful for the opportunity to practice this way, and I look forward to sharing this journey with all of you. May it be of benefit to all beings. In recent weeks, a very painful situation has come to light in the greater Buddhist sangha. Many practitioners of Tibetan Buddhism are upset at allegations of harmful behavior by a very well-known teacher. Similarly, the Abbot of a very large and prestigious Thai Buddhist temple has been accused of breaking the ethical vows of his tradition and of breaking the law. A year ago, a very painful scandal emerged at one of the larger Soto Zen centers in the US. Unfortunately, these are not the first instances of abuse of the relationship between Buddhist teachers and students. These kinds of situations have occurred time and time again, across various traditions and geographic locations. As I am not personally familiar with any of the situations mentioned above, I don't feel qualified to discuss the details. However, I do want to share my thoughts on possible reasons for how and why these kinds of abuses happen, why they seem to go unaddressed for long periods of time, and how they might be prevented. Each situation is different and complex, but there may be discernable patterns at work. Some people come to Buddhism in search of a more positive sense of self. While a bit ironic, this is natural, since one of the most fundamental messages of Buddhism is each person's innate capacity for and expression of wisdom. People like the idea that Buddhism says, "You can be a kinder, calmer, happier, wiser person, if you just work on discovering your own goodness, your own true nature." In Zen this shows up as the teaching, "All beings are fully endowed with buddhanature." It's a very positive message about the basic goodness of a human being. However, in the search for a better self, problems sometimes develop as students look for and encounter a teacher. They look up to that person, and begin to see that person as someone special. Of course, if they didn't do a bit of that, that person could not be a teacher to them. Yet, one consequence of this admiration may be that seeing the teacher as special makes the student feel special by association with the special teacher. Whether or not this sentiment is spoken aloud, it also makes the teacher feel special because of the positive messages coming their way. This set of beliefs tends to feel good to both parties, and therefore tends to be reinforced. Thus, the student feels that the teacher can help them be a better person. And it seems to be true because the teacher expresses confidence in the student, and the student seems to feel better about him or herself. It also seems to be true because usually more than one student is saying these things about the teacher. As for the teacher, he or she begins to believe these positive things students are saying about them, and begins to believe that they are the special person who can help the students to be better people. If all of this belief and counter-belief is turned toward the goal of keeping teacher and students on the path of wisdom and compassion, then it can be helpful. Students feel motivated to really practice hard, support the teacher and the sangha, and work on discovering self and other. And the teacher works hard to support them to do this for themselves and for all beings. Then they are all working at living the practice, and at fulfilling this idealized vision of themselves. A teacher who has been convinced of the positive beliefs their students have about them may begin to think that they can do no wrong. They may think that no matter how they use their authority, or how they use the teachings and training, it will be beneficial for the students. They may think that they cannot make a mistake, and they may actually convince themselves that to admit a mistake would be harmful to the students. I recently had a conversation with a woman who is a psychotherapist and long-time Zen practitioner about her teacher, a Rinzai Buddhist with a long history of abuses. She said, "It would crush him to have to admit that he was wrong." This she offered as an explanation for his inability to stop harmful behavior or to apologize to the community. It was then that I realized that when a person sincerely believes that they are so spiritual they cannot possibly make a mistake, harm to other beings in inevitable. The teacher's delusion about self has gotten so big that it blocks out any compassion for the experience of the students. In this teacher's case, pedestal practice cannot be acknowledged even when it has hurt many, many people. This vow is key to Zen practice, because it begins with the acknowledgment that one has taken intentional action, “karma,” based on the three poisons of greed, hatred and delusion. Reciting the vow is only possible if one has the humility to admit to oneself and others that one is still impacted by the poisons, and by the workings of karma and its results, called “vipāka.” The power of the vow comes from the fact that being able to clearly discern the harmful or less skillful ways in which one has acted, means being able to more skillfully deal with the consequences of those actions and with future conditions. It is a powerful practice. Any teacher who is truly wise and compassionate will be able to admit that they too are subject to karma. What about when students know that their teacher has been abusing their power or breaking their ethical vows, but they choose not to address it? This is actually a very complex question. It may be that the student cannot take the teacher off the pedestal because then they would have to take themselves down a notch as well, and they are not willing to do that. Or it may be that the student believes that the teacher is someone who is leading them on a special journey that does not fit within the boundaries of normal ethical and practice standards. Sometimes students simply feel ashamed of having broken their own vows, or of having believed in someone who turns out to be flawed. For all of these reasons, and more, students may be very reluctant to speak out against a teacher of high standing. Supported by these inter- and intra-personal dynamics, pedestal practice can go on for a long time. In fact, students who have not yet experienced any harmful behavior may pressure the students who have to keep quiet, because they do not want to see the problem or deal with its repercussions. Teachers have been known to get angry, and to threaten or to abandon students who question their authority or their wisdom. Whole communities have kept secrets about harmful behavior for decades rather than go through the painful process of bringing them to light and addressing them. Fortunately, there are things can be done to prevent this situation from reaching such a harmful state. First, it is critically important for Buddhist communities to structure opportunities for teachers to have input from their peers. Ideally this can happen among teachers, away from a public setting, so that there is no need to keep up appearances for the students’ sake. Often teachers can be seen more objectively by other teachers. This helps to keep a teacher from getting put on such a high pedestal that they fall off their practice of wisdom and compassion. It also provides a place and time for sharing the joys and challenges of the teaching role, helping the teacher feel more connected to, and more identified with other teachers. These kinds of relationships can remind the teachers that their situation is not one of a special being above humanity, but of a human being devoting their entire life to the well-being of their students. Second, students need to be aware of and take responsibility for the ways they relate to their teacher. They must deeply study their motivations. They must hold their behavior and their teacher's behavior to a high ethical standard. This is simply an expression of the Dharma, which has always been based on a foundation of compassion as ethical action. Students need to investigate their views of self. If they feel that they are leaning on a relationship with a teacher to bolster themselves, they can turn toward the teaching that practice is something only you can do for yourself. Practicing with a recognized teacher can be a great support, but ultimately the student is responsible for their own ethics. Choosing to practice in an upright manner is always in accord with the Dharma. That is true fearlessness. The Way of Buddhism has brought forth many, many wonderful teachers. Still, any teaching, any practice, no matter how profound, can be twisted into something harmful by delusion and the frailties of human beings. When students and teachers build up each other’s self-esteem at the expense of ethics and compassion, deep harm is the natural result. Complex relational dynamics are at play, and can perpetuate even harmful relationships. Yet, working together toward the manifestation of the Way of compassion and ethics, teachers and students can support each other to move beyond pedestal practice and be an embodiment of the fearless Dharma. Today was a very joyful day for Ekan Zen Study Center sangha! Paula Borsody, a sangha member and Board member of Empty Hand ZC, took the 16 bodhisattva vows today. 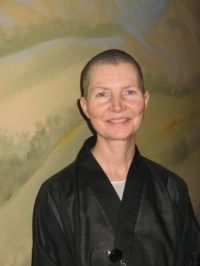 By doing so, she sets off on the bodhisattva path, receiving Buddha's robe, a new name, and publicly affirming her commitment to the refuges and the precepts of the Soto Zen school of Buddhism. Paula's new name is 琢 園 明声 Takuen Meisho, which means Refined Garden Clear Voice. It was a particularly tender moment when she was moved to tears by the chant, "Oh Bodhisattvas Mahasattvas, please concentrate your hearts on me..." As the Guiding Teacher conferring the precepts, I have to say that this is one of the best parts of my role, supporting students to commit to a lifelong path of bodhisattva practice. May her joy and sincerity of practice continue endlessly. Congratulations Paula!